The City of London Police is warning people who visit coffee shops, bars and restaurants to be mindful when leaving their valuables on tables. Thieves are purposely targeting customers by distracting them and stealing their mobile phones and other valuable items. 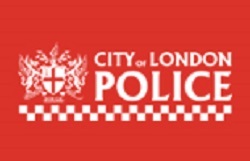 On 16 March a man entered a fast food chain restaurant on Cannon Street EC4, and stole a mobile phone from a table from where the victim was eating. He placed a prop on top of the mobile and engaged the victim in conversation. The suspect then distracted the victim by making hand gestures towards his mouth whilst at the same time picking up the mobile phone from under his prop. He then walked off with the victim’s mobile phone. Since January there have been 32 distraction thefts in the City of London with 14 of these in coffee shops. There were eight thefts in bars and another eight in restaurants. There was one distraction theft in the street and another in an office. The majority of distraction thefts are occurring between 11.30am and 3pm on Saturdays, Mondays and Wednesdays. The most common trick used by thieves is to place a prop, such as a map, on top of the item they want to steal on the table where the victim is sat. They then speak to the victim usually asking them for directions. This distracts the victim and the thief picks up the item hidden underneath the prop and walks out of the premises. Another distraction technique used is when a thief squirts a liquid substance on their victim and pretends to help them clean it off. The thief then pats down the victim giving them access to pockets to steal wallets, phones and other items. City of London Police Detective Inspector Doug Blackwood said: “Thieves will use all the tricks in the book to get their hands on people’s valuable items. They will visit several coffee shops, bars and restaurants and target people who leave their items, such as mobile phones on tables.